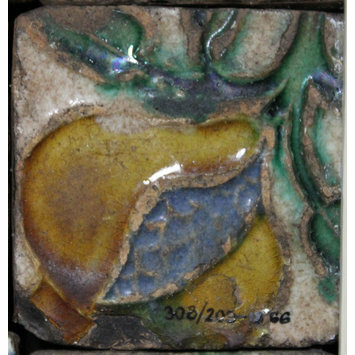 One of a series of about 329 wall tiles, earthenware, Hispano-Moresco, 'Azulejos', tin-glazed with coloured floral and geometric patterns, from various buildings in the city of Toledo. Spanish (Seville), early 16th century. 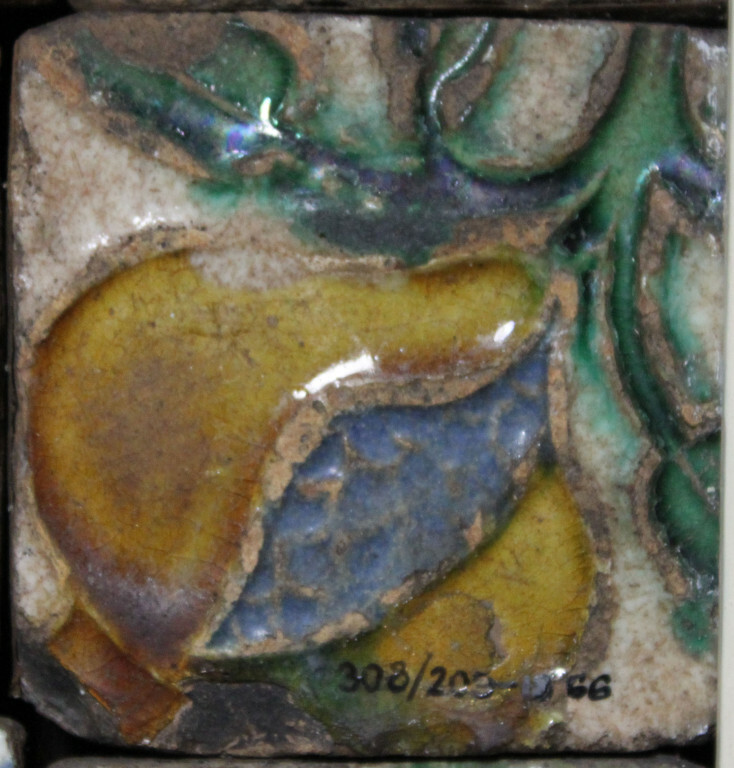 Part of multi-part panel 912 to I-1897, 308:208 to 209-1866, 698 to 700-1896.